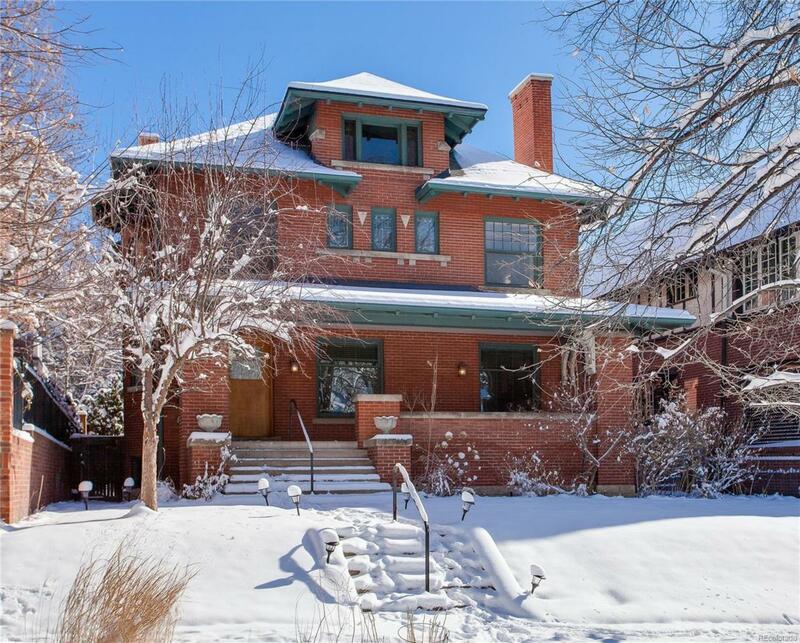 The classic, covered front porch and grand entrance hall welcome you to this 1911 Denver Square residence. Extremely desirable location, quality of construction + impeccable architectural style distinguish this home of 4 bedrooms plus bonus 3rd floor loft and main floor study. Traditional elegance graced with the character of its time, complemented by extensive woodwork; hardwood floors; high beamed ceilings; crown molding, built-in cabinetry + large windows allowing natural light to fill the home. Welcoming foyer boasts a handsome staircase with window seat. Stately formal rooms include a living room with fireplace; as well as a dramatic dining room accented with built-in hutch, adjacent sun room + butlers pantry. Down one of the 2 staircases to the lower level you find a spacious family room with fireplace. Set on one of the finest tree-lined blocks in the Morgans Historic District, combining the privacy of this spectacular lot with in-town convenience to Cherry Creek & downtown. Offered by Kentwood Real Estate Dtc, Llc.